Angelina Gualdoni is a painter living in New York City, working in the genre of still life and interiors. Through use of dyeing, pouring, staining, and historic textile patterning, she links various women’s creative practices from industrial to domestic, decorative to metaphysical. Gualdoni's paintings have been the subject of solo and group shows nationally and internationally at the Queens Museum, NY, St. Louis Art Museum, MO, the Museum of Contemporary Art, Chicago, Illinois, The Aldrich Museum, Connecticut, the Museum de Paviljoens, Netherlands, and the Neuberger Museum, Purchase, New York. She has been the beneficiary several grants and fellowships, including Artadia, Pollock-Krasner, and NYFA (2008, 2015), and has attended residencies at MacDowell Colony, Skowhegan School of Painting and Sculpture, and International Studio and Curatorial Program. Gualdoni received her BFA from the Maryland Institute College of Art in Baltimore and her MFA from the University of Illinois in Chicago. 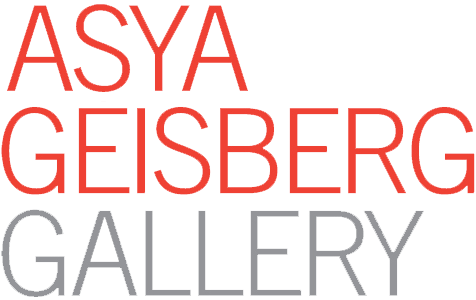 She resides and works in New York City and is represented by Asya Geisberg Gallery in New York. She is a Professor of the Practice in Painting and Drawing at SMFA Tufts, Boston. Gualdoni is one of 12 co-founders at an artist-run exhibition space, Regina Rex, active in Bushwick and the Lower East Side, 2010-2017.